If you own a piece of land that is quite large, it is a great idea to invest in a lawn mower. Mowing a large lawn can be time consuming, exhausting, and never ending. What can be even more challenging is if you own a piece of property on a hill. Taking care of the land can be quite a challenge on a hill but there are ways to make maintaining your property much easier. 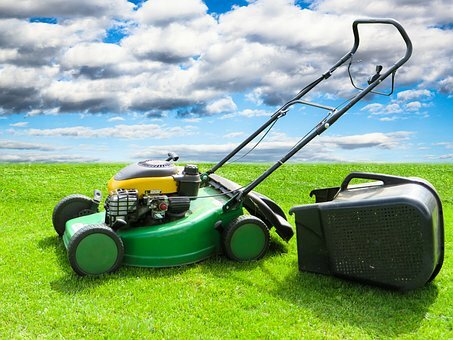 Regardless of the type of yard you own, this article will help you determine the best lawn mower for your needs. When determining what type of mower you want to purchase, it is best to learn about the different types that are available on the market before you commit to making a purchase. The more information that you have about the types of mowers available, the better you will be able to decide what will work best for your yard and your overall needs. After you have done research on the different types of mowers that are on the market, you will then need to determine a budget that you can afford. Take a look at your family budget and what bills you have outstanding. This will help you determine how much you can spend on a monthly basis if you were to finance an expensive mower. If you do not want to finance a mower, you will need to determine how much money you have in savings and if you can feasibly pay for the mower in cash. After you have identified how much you can spend on a mower, you will then need to determine what type of mower will work best for your property. For example, if you live in a piece of land with a steep hill, you will want to look for the best riding mowers for hills. If you live on a flat piece of land, you do not have to purchase a mower that is made for hills or a unique terrain. If you own a large piece of land but most of it is landscaped with flower beds, fountains, a swimming pool, and other yard ornaments, a riding mower may not be the best option for you. If you do not have wide open spaces to mow, you may only need to purchase a push mower. After you have invested in an expensive machine such as a lawn mower, you will want to understand how it needs to be cared for. Doing so will ensure that your investment will pay off over time and that you will be able to use your mower for years to come. Owning property is a great sign of accomplishment and something that many people dream of. When you own a piece of land, it takes a great deal of time and energy to maintain it and keep it in good condition. Investing in a riding mower is a great way to take care of your yard.